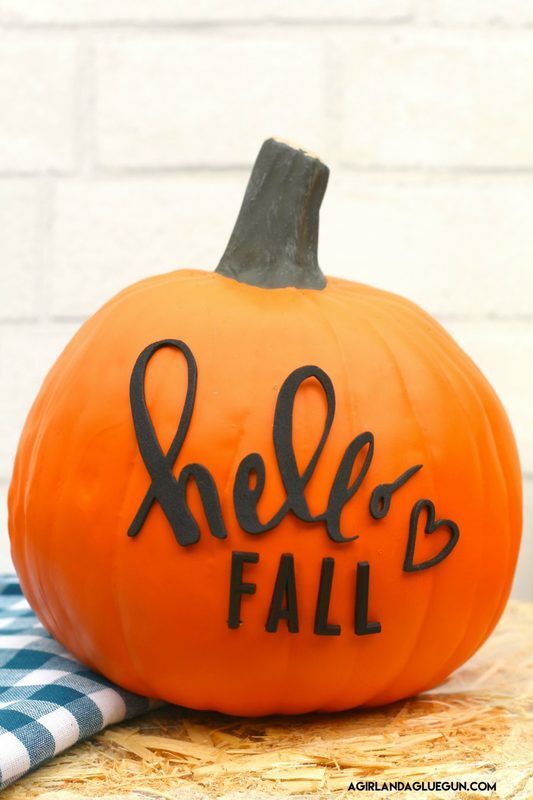 Letterboard Pumpkins and fall decorating ideas! 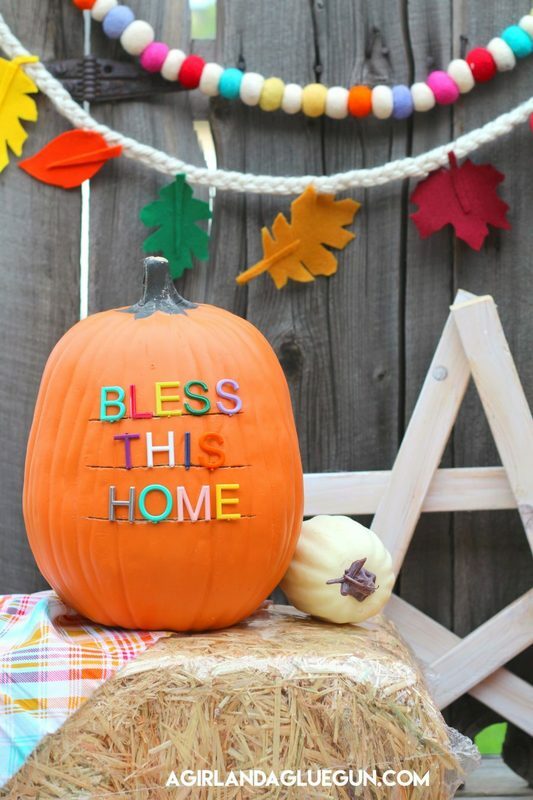 Thanks so much to Hobby Lobby for sponsoring this post! 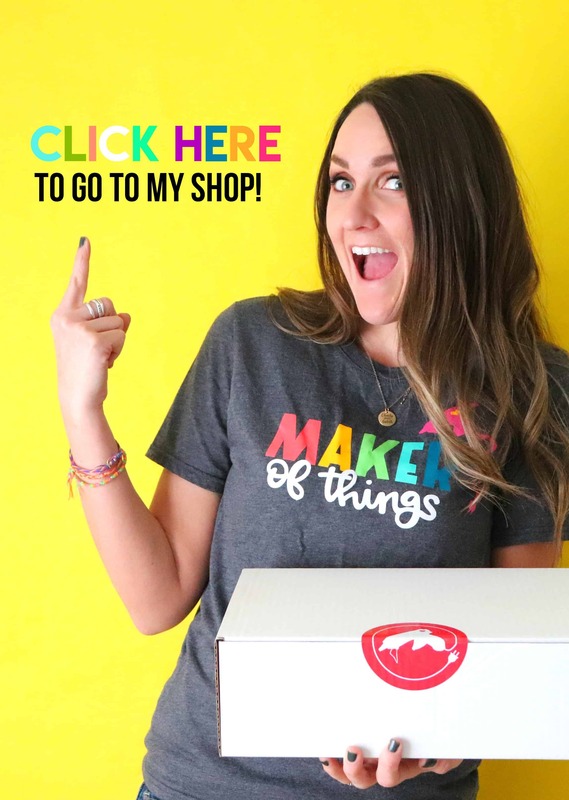 I don’t know about you…but I am seeing letterboards EVERYWHERE. All the cute back to school signs and funny sayings and great quotes! I LOVE them! 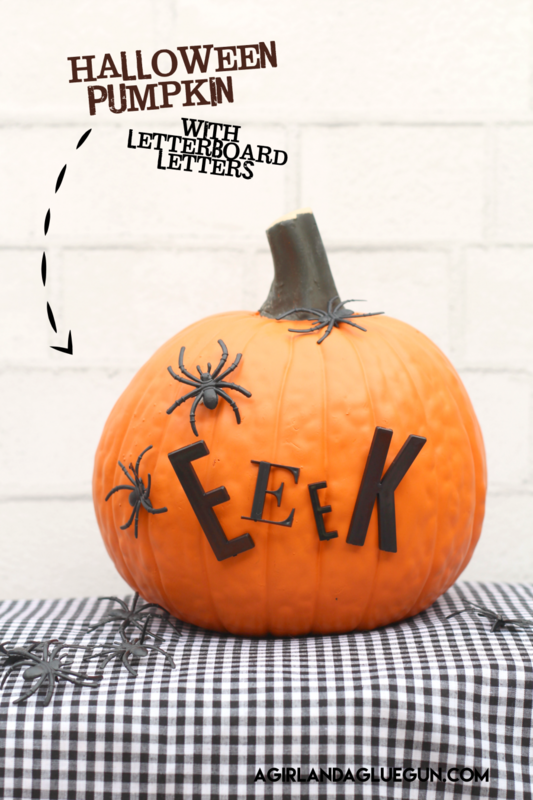 And I was so excited to see that Hobby Lobby started selling Letterboards AND letters! 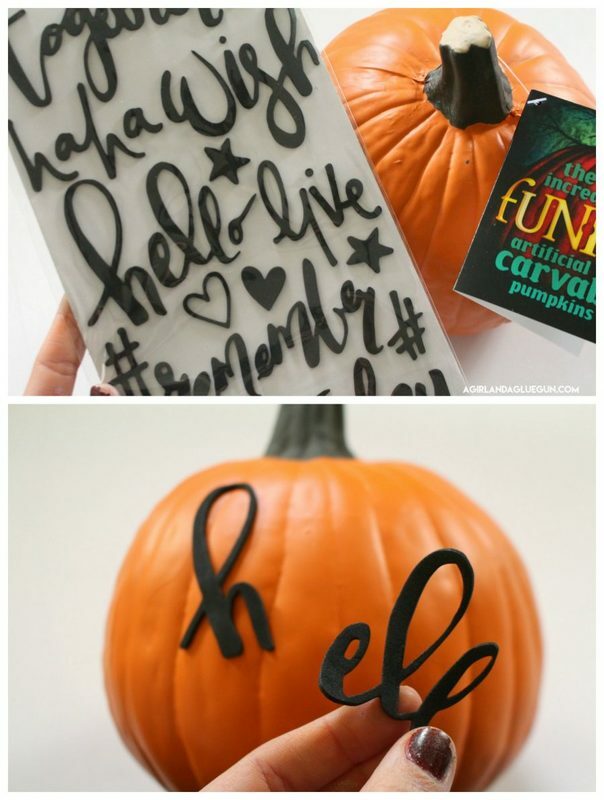 So naturally…I had to incorporate it in my fall decorating and add some letterboard letters to my pumpkins! 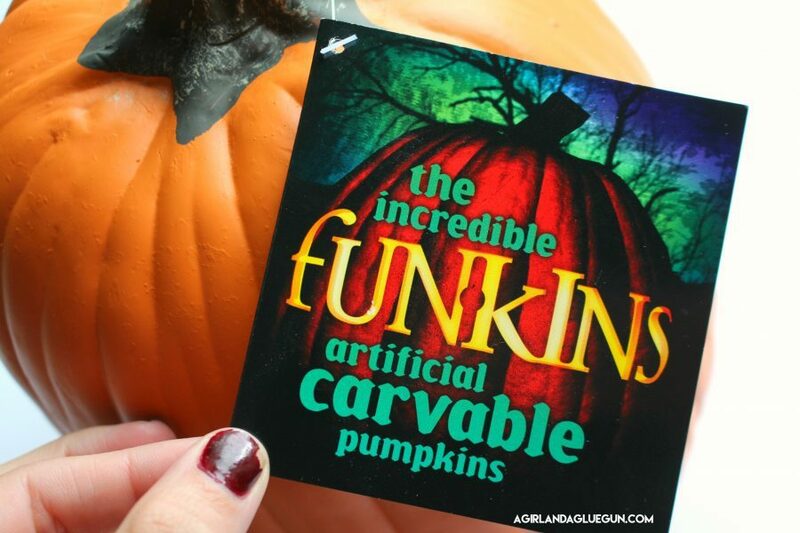 I also grabbed a whole set of these funkins pumpkins–they LOOK like real pumpkins, you can carve them like real pumpkins, BUT they don’t die so you can pull them out and use them to decorate year after year! 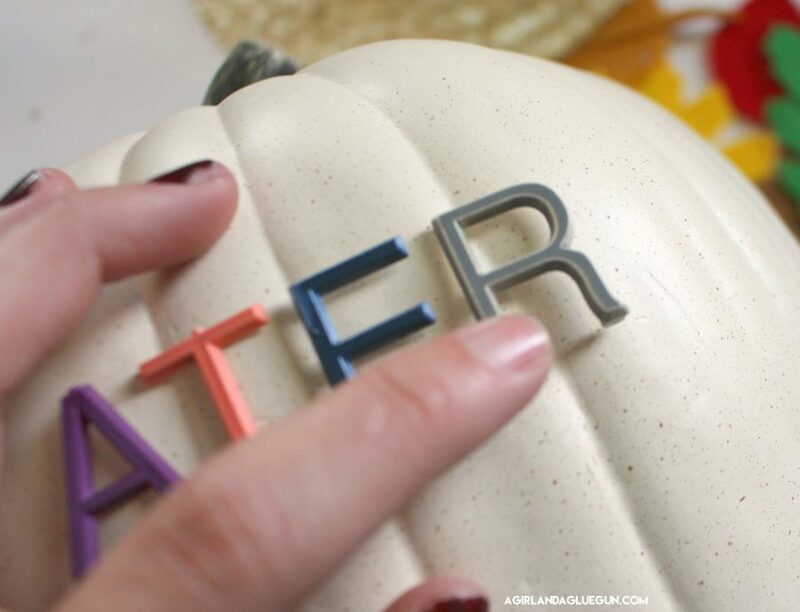 Now–I got a little crazy and ended up spray painting my letters (because I LOVE COLOR). I will show you that tutorial tomorrow since this post is already photo heavy! 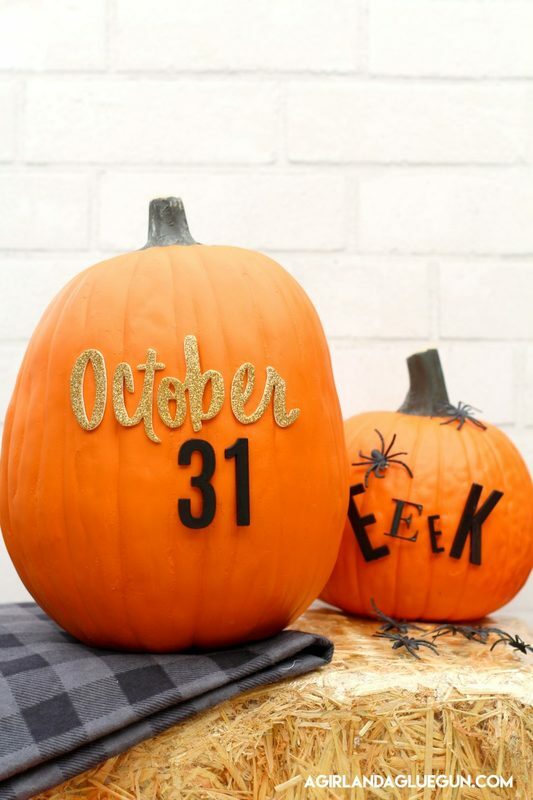 Black and white looks great on pumpkins so you can leave them as is! 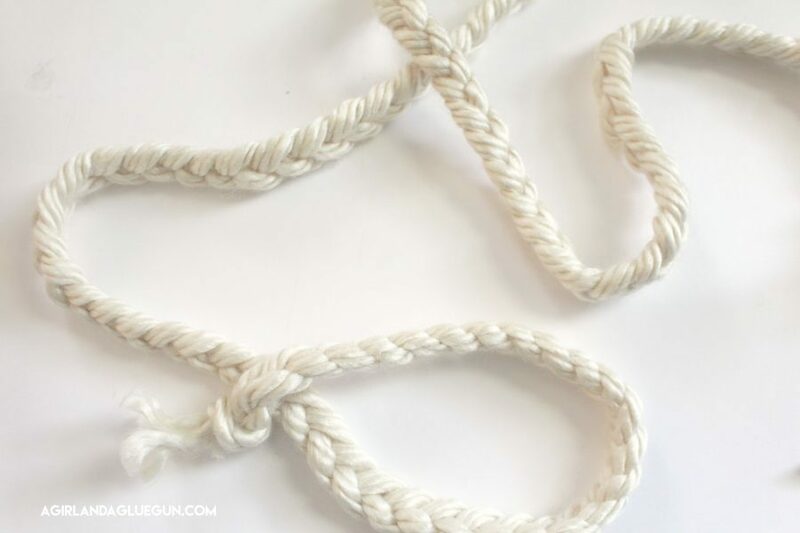 There are two different ways to attach them. FIRST: If you want a set saying that will stay put. I take the letters and press them one by one where I want them. 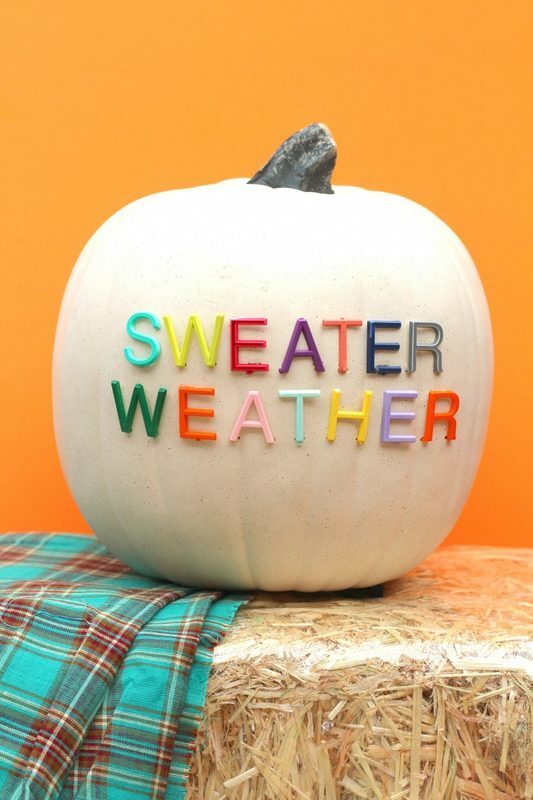 The pumpkins are pretty heavy duty…so pressing them just makes a nice indention. If you press super hard you might bend the notch on the back of the letters! I just use the notch as a guide and add deeper marks using a screw driver. 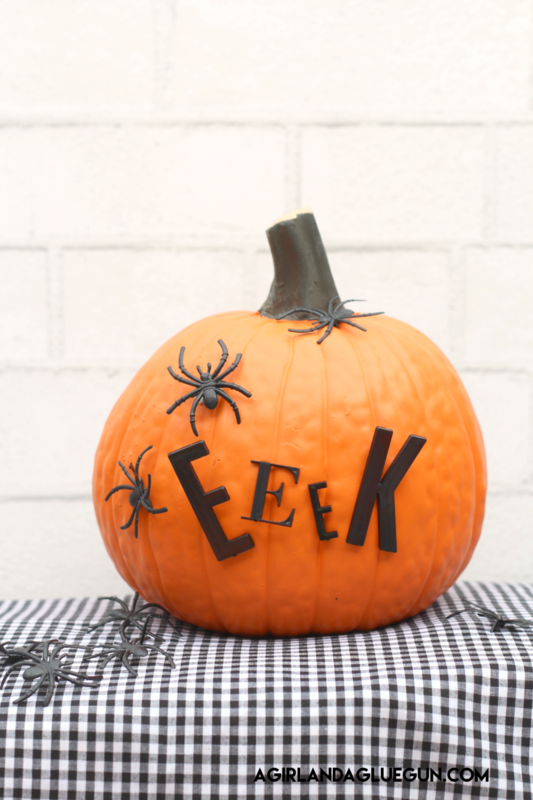 Then pop your letters right back in! So fun! 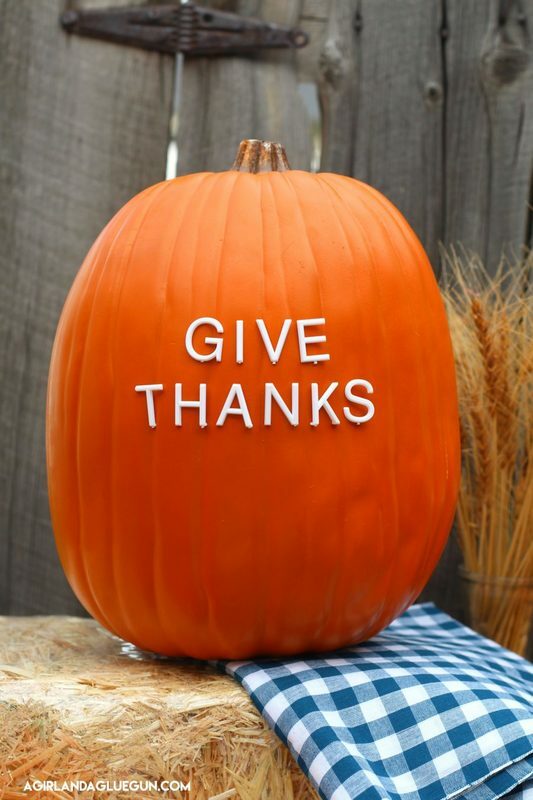 The second way to attach them is if you want to swap out sayings. I just took a knife and created some lines for my letters to sit on! 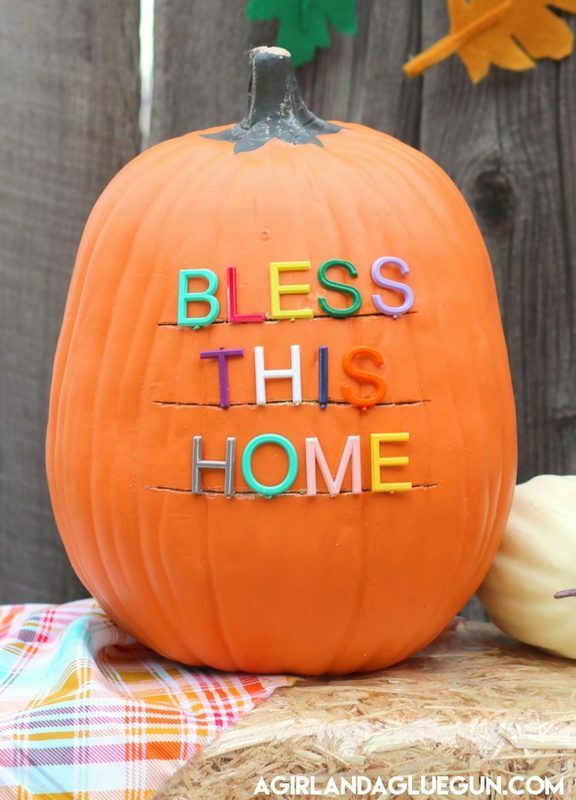 Hobby Lobby has these pumpkins in small to large sizes. 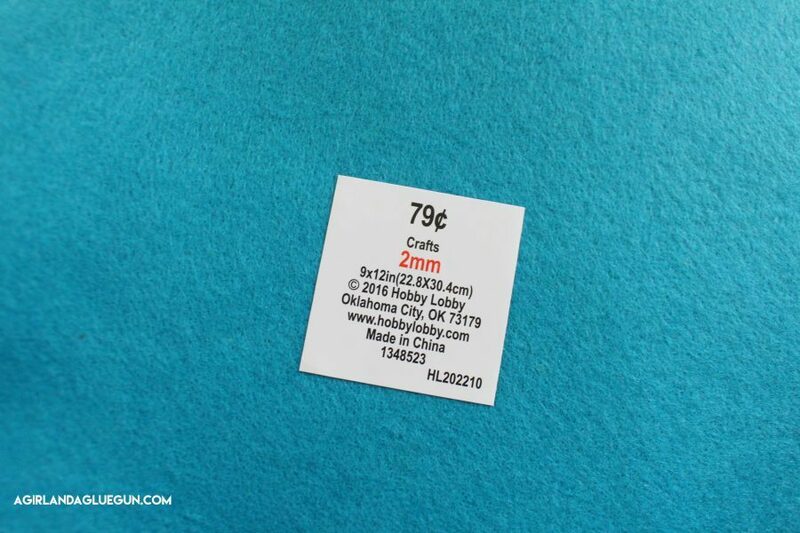 This one is the medium and you can see it fits 3 lines nicely. I probably could have put on 4 lines if I wanted too! 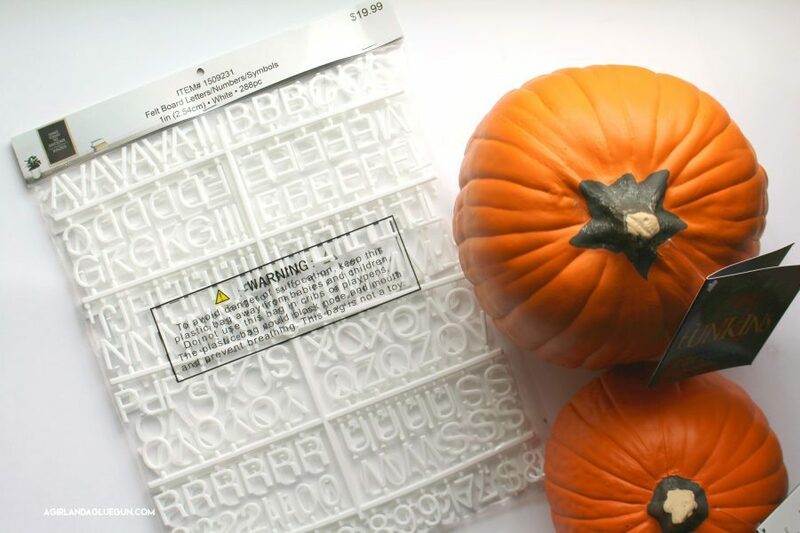 Then you can just add letters and sayings as you think of them! Easy to swap in and out! I also found myself down the sticker aisle (I bought so many letter stickers!) 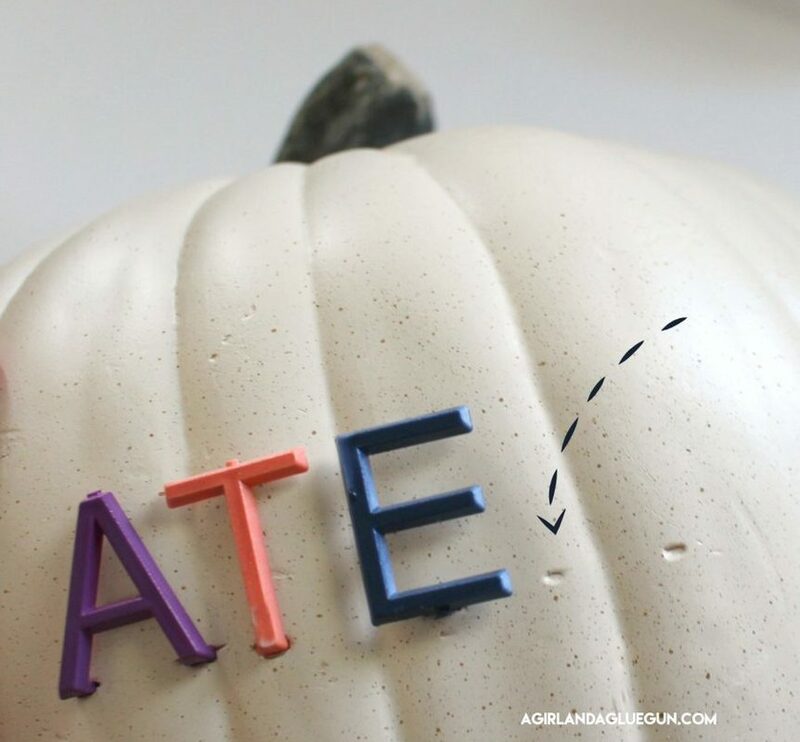 Such an easy way to add a pop to those pumpkins! 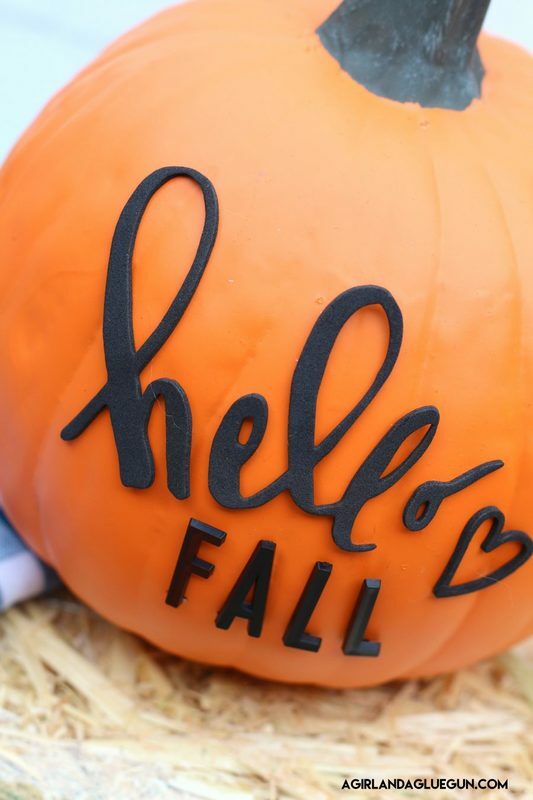 I used the cursive hello with some FALL letterboard letters! Don’t they look great together?? and the October is from a sticker set! 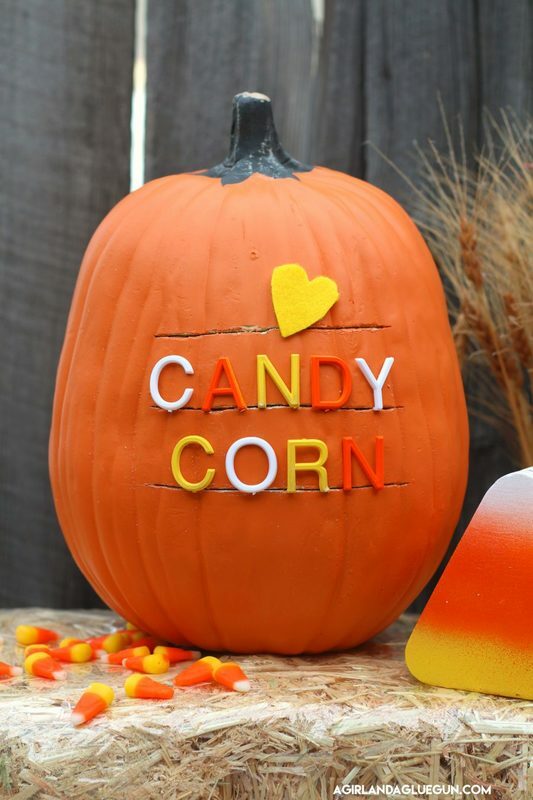 Don’t these look dynamite with little effort and NO YUCKY PUMPKIN SEEDS! 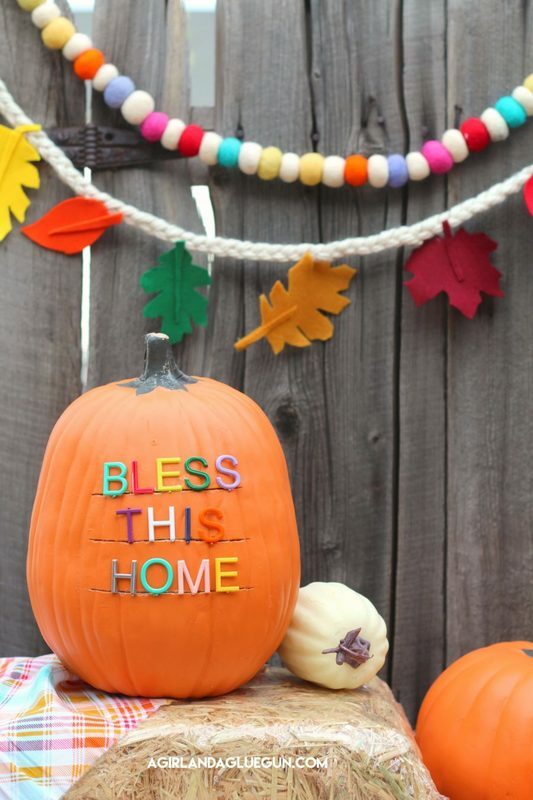 I got my pumpkins all pretty and realized I needed a fun garland to hang on my porch! 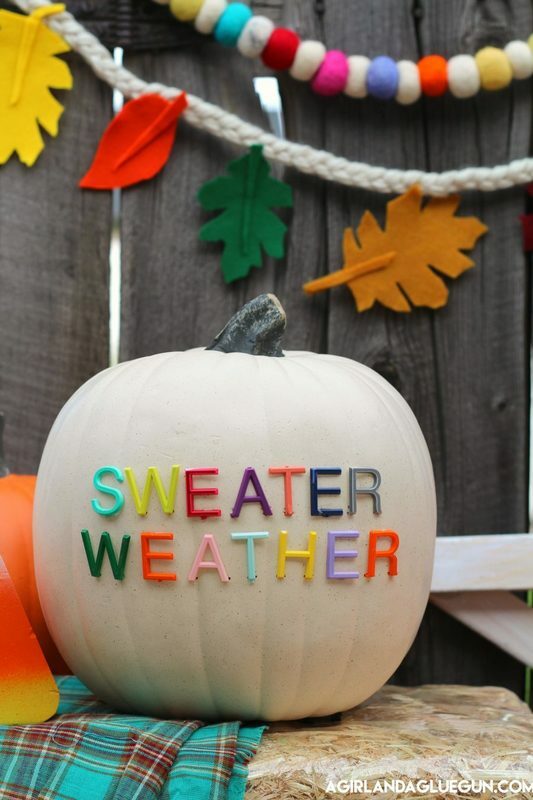 There are lots of orange and yellow garlands–but like I said above..I LOVE COLOR. So I created a colorful leaf one to match my porch! 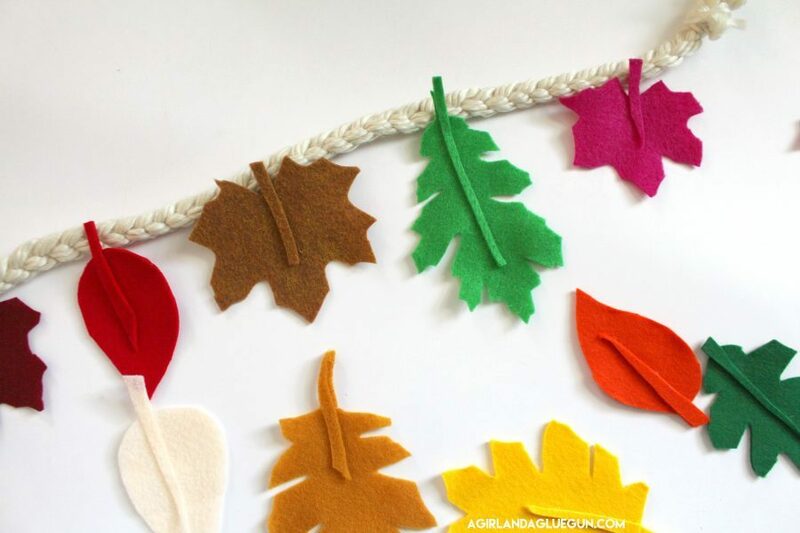 Grabbed sheets of felt–So many fall colors! 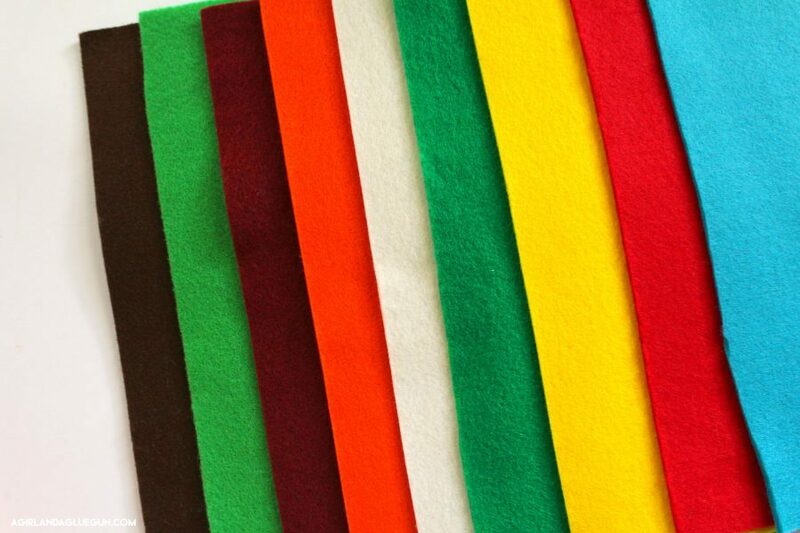 I LOVE that they have thick sheets of felt. It looks so much better and holds the shape so much nicer! 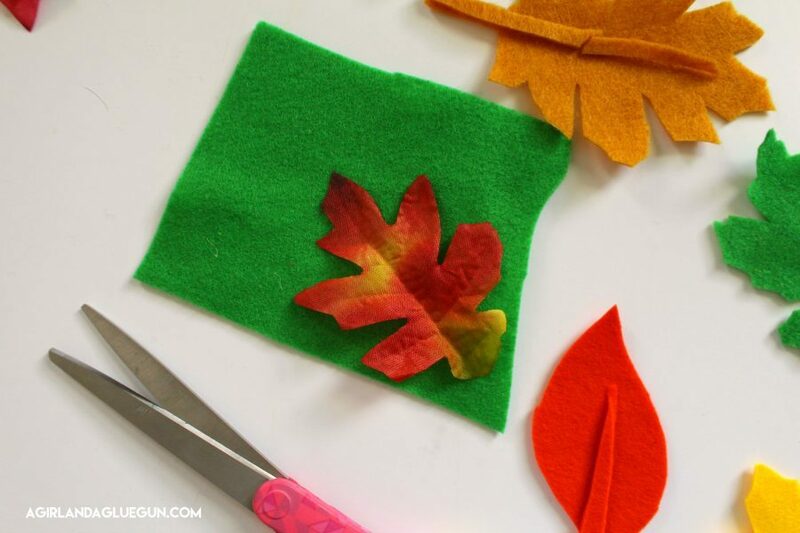 I just used some fake leaves as a template and cut around them. 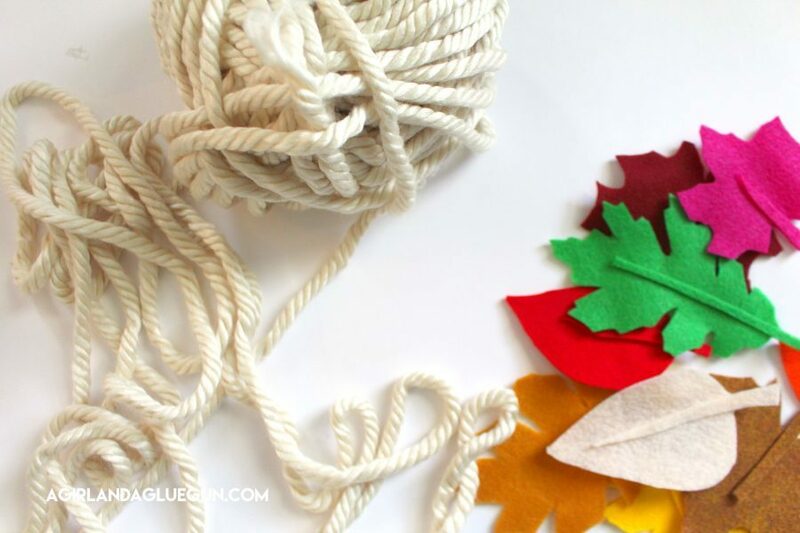 Grabbed some chunky yarn and braided it together to make a cute chunky chain to hang my leaves on. 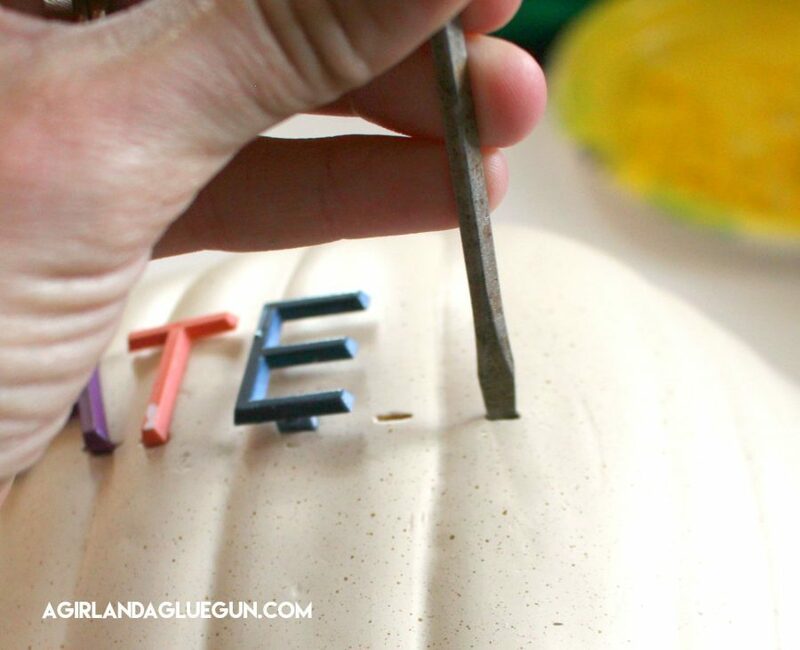 Just a little hot glue to get them stuck on! 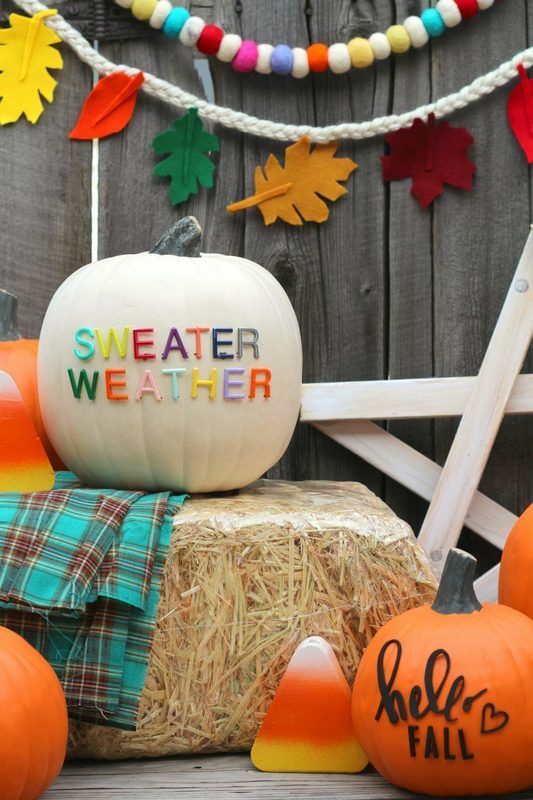 I think it really ties it in all together with my colorful letterboard pumpkins! 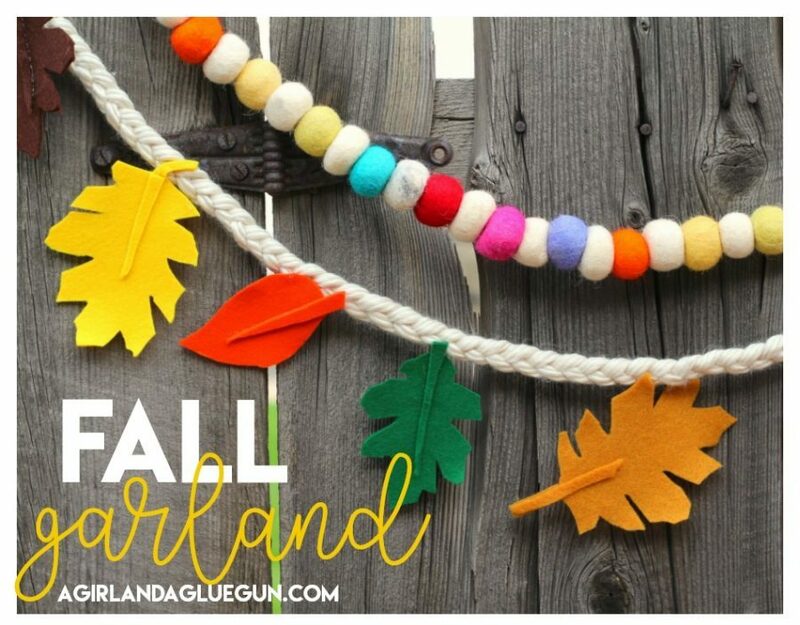 The felt ball garland is from Hobby Lobby as well as the cute little hay bale! My porch is going to be so fun this year! I literally can’t pick a favorite!!! Which one is yours? Here are a couple images for you to pin! 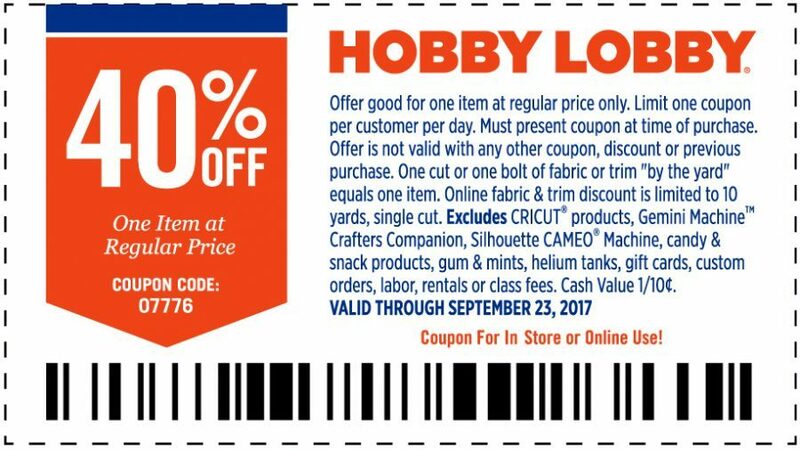 Make sure to grab the coupon for your next shopping trip at Hobby Lobby!